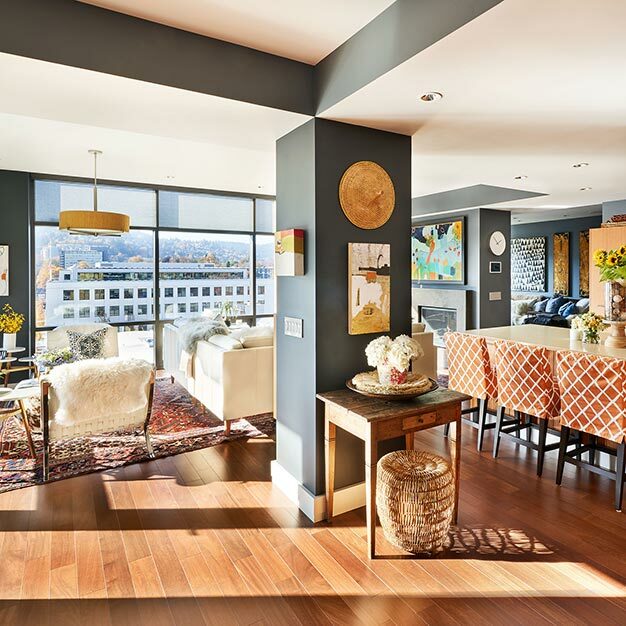 This large unit at The Casey building in NW Portland, featuring a wonderful art collection, is a perfect example of convenience and luxury from the windows to the music. 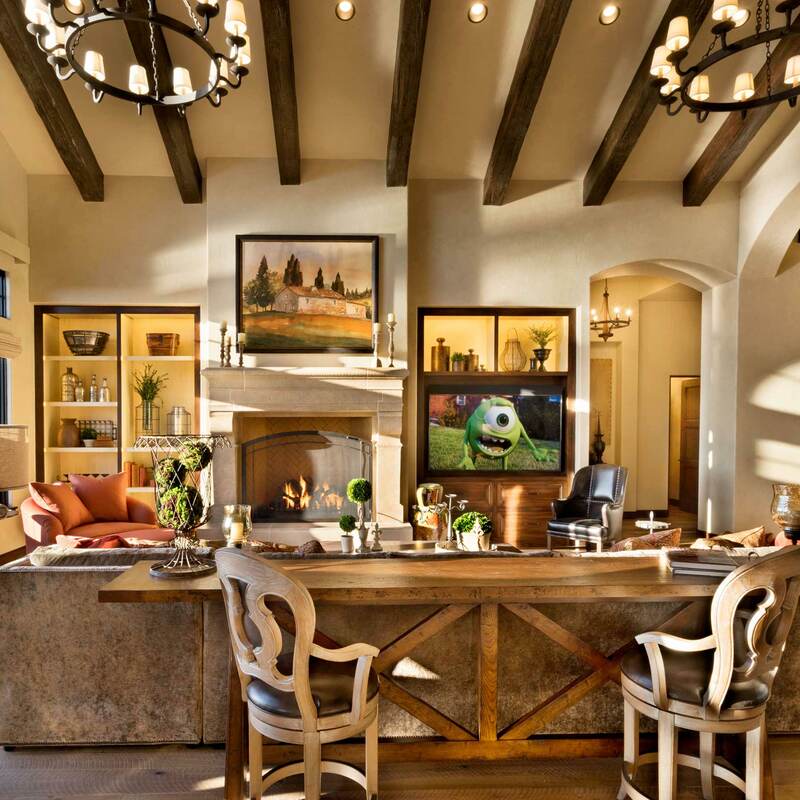 Sitting adjacent to Tumwater Reserve Winery, La Dolce Vita, or “the sweet life” is a unique, Tuscan villa style home featured in the Portland Metro area’s Street of Dreams homeshow. 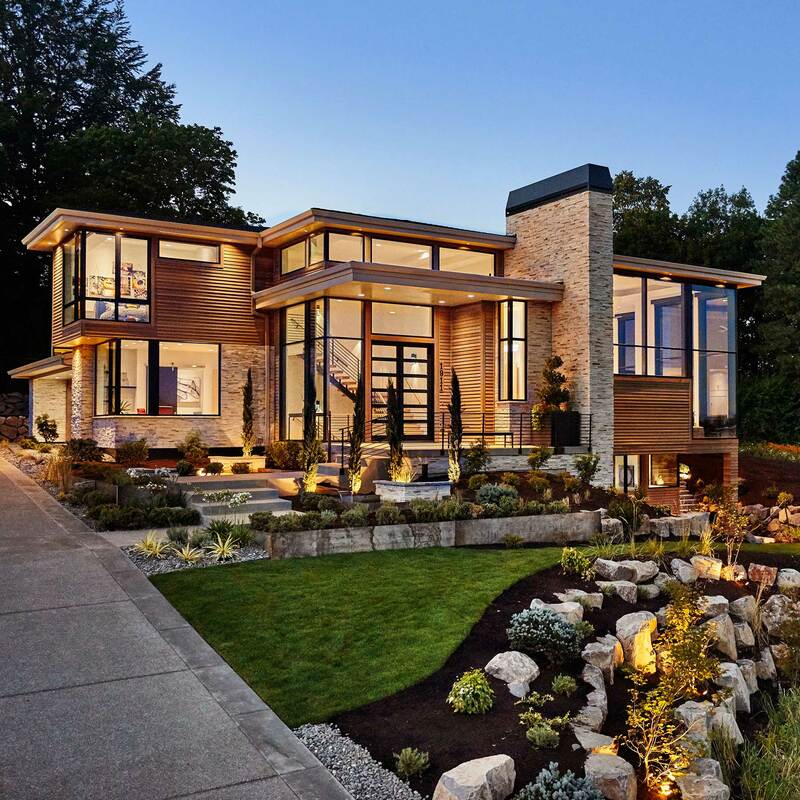 This contemporary home showcases large two-story windows with motorized shades that can be programmed to drop down depending on temperature or time of day. 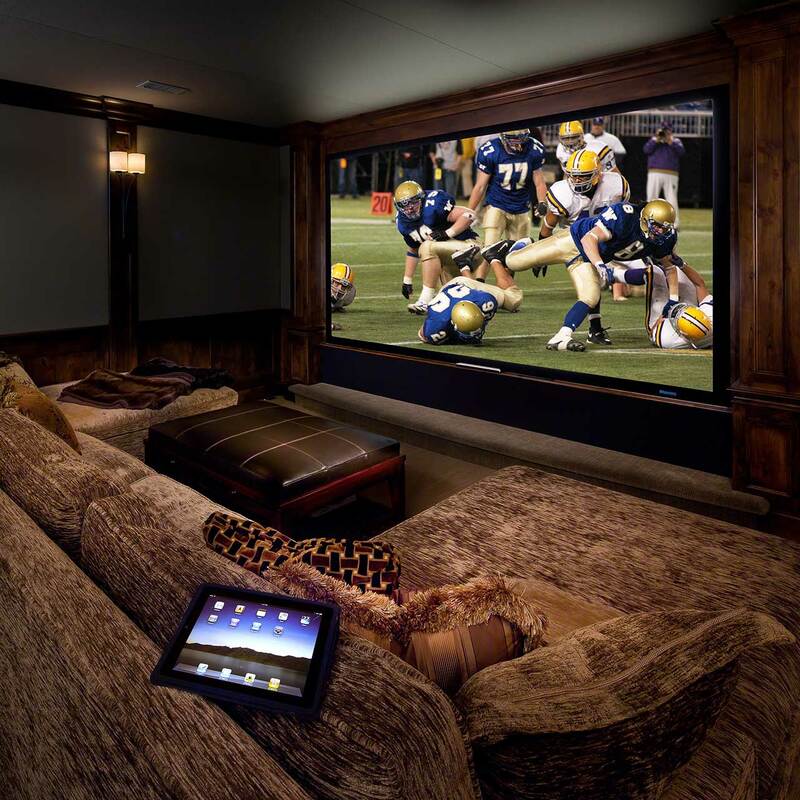 The media room is not only comfortable but boasts an 85″ 4K television with Cable, Bluray and Apple TV. 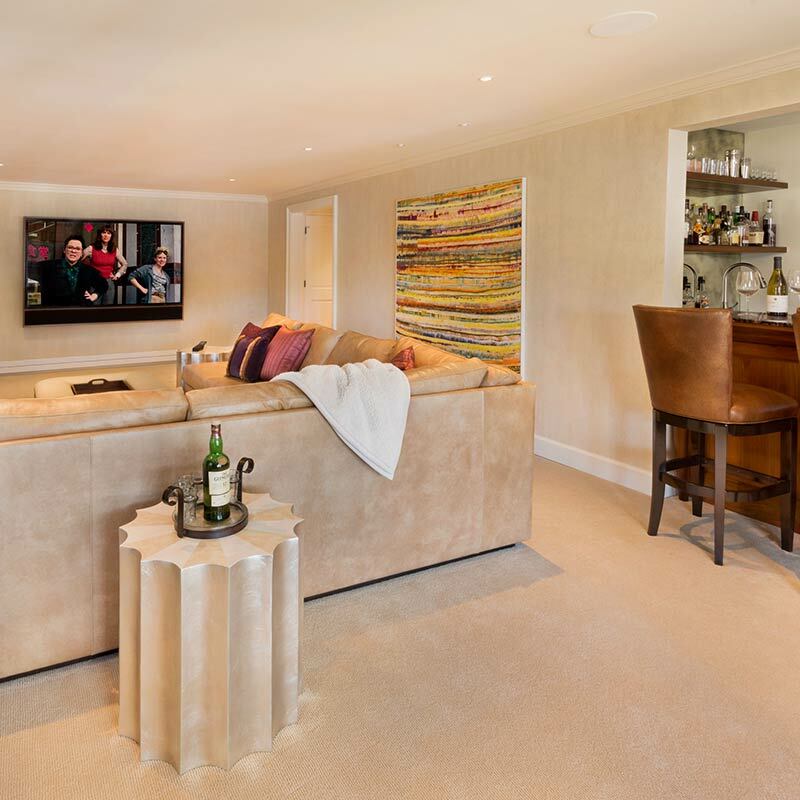 A custom Leon soundbar and Edge frame were created to match the cocktail bar. 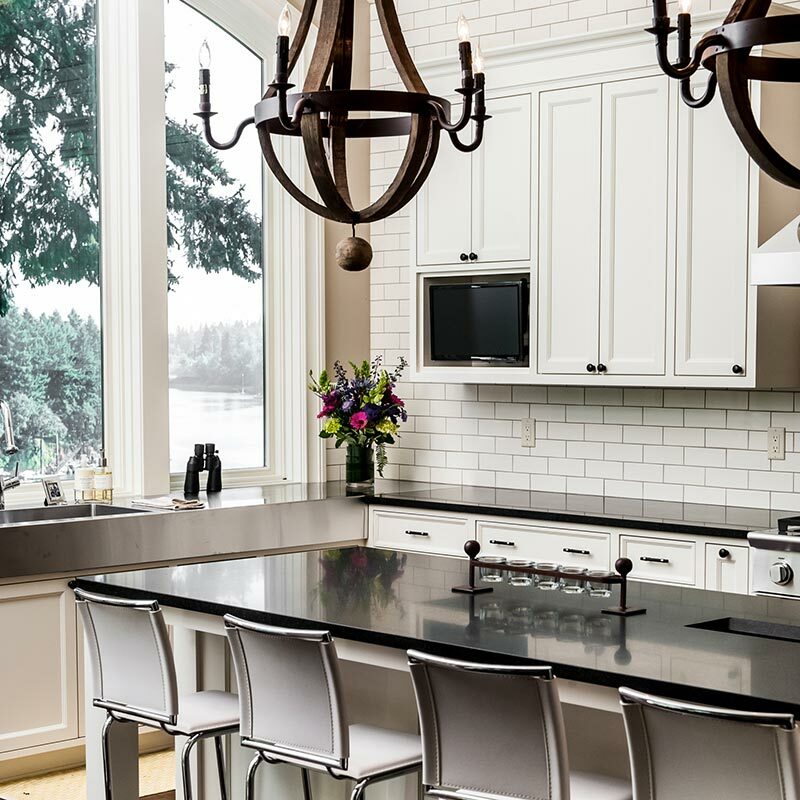 Located on the Willamette River, this Lake Oswego duplex was built to feature a full media room, television and music throughout the house, and security all controlled by a Crestron touchscreen system. Overlooking beautiful Lake Oswego, this home has a dedicated theater room, music throughout the home, and control over the pool, security and cameras.